In spite of the animal print bodybuilder outfit I saw the other day, I don't think I'm mean enough to do a "People of Walmart" post. However, I do feel compelled to offer this entry: THE T-SHIRTS OF WALMART! 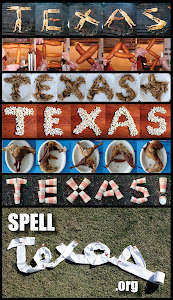 I do, in fact, love Texas. And yes, I seem to collect items adorned with that familiar steer head silhouette. You'd think this fairly cheap UT shirt would be an automatic addition to my wardrobe. But you'd be wrong. For one, the T-shirt has a band shako (hat) on it. Everybody knows the Longhorn Band doesn't wear shakos; its members wear Stetsons. 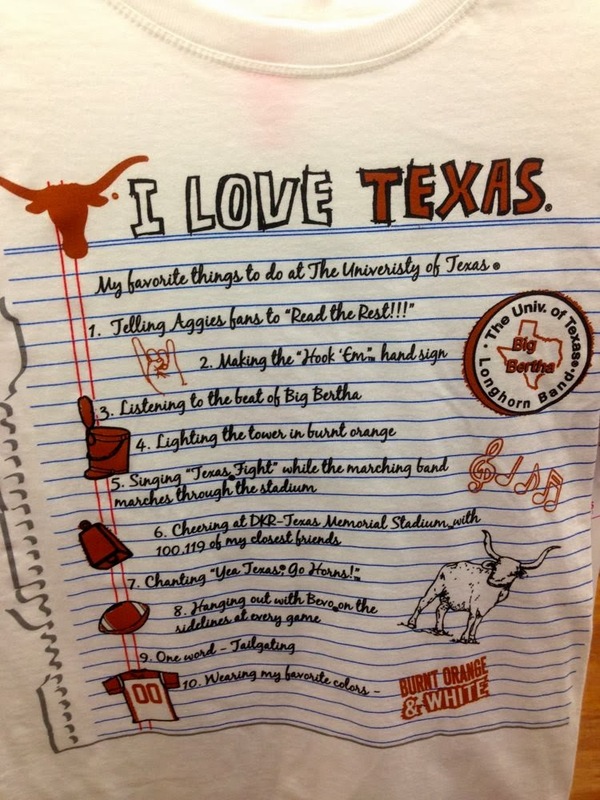 Then there's the list, "My favorite things to do" at UT. If I wore this shirt, I would be LYING. For instance, that #7" "Cheering 'Yea Texas! Go Horns!'"? While I have certainly said those words at many a game, I'm certain I have never, ever said them in that particular phrase. That "cheer" is not part of a chant or our fight song. So put a big X on that one. 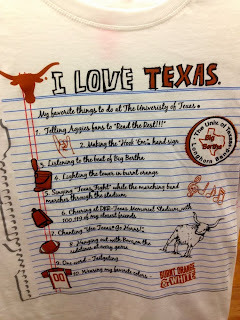 But the real kicker: As much as I love UT, I am not a fan of the "Univeristy"!